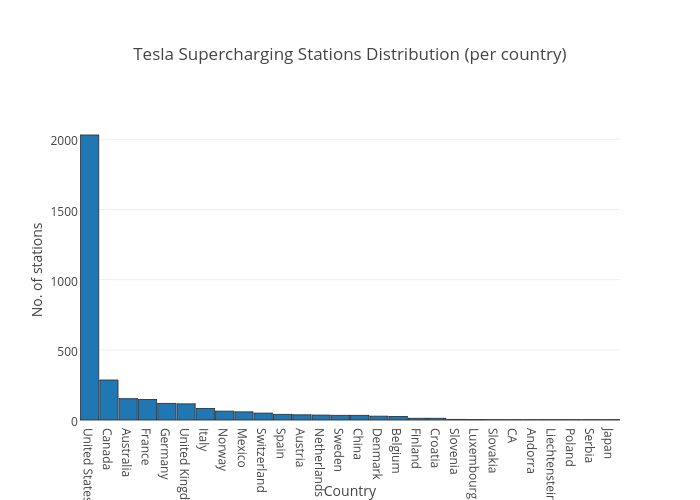 Octogrid's interactive graph and data of "Tesla Supercharging Stations Distribution (per country)" is a bar chart, showing stations; with Country in the x-axis and No. of stations in the y-axis.. The x-axis shows values from -0.5 to 27.5. The y-axis shows values from 0 to 2137.8947368421054.